Today is another wonderful chance to win some of the newest books in the beading industry, this time by Interweave/F+W. I'm excited to have been able to read these cover to cover, give you my opinion of them, and then have one book sent to three different people (US only, I'm sorry). 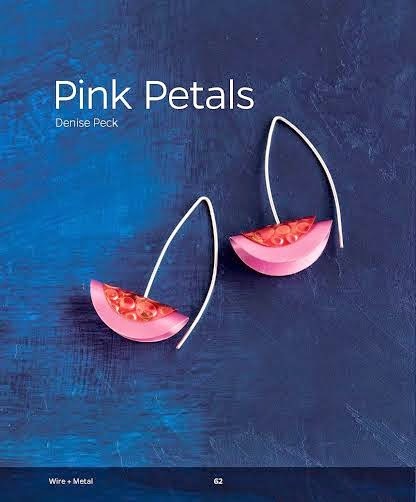 First up is the 144-page "Wire + Metal - 30 Easy Metalsmithing Designs" by Denise Peck and Jane Dickerson. Both of these talented ladies really do bring it to this book! Along with Denise and Jane's work, you'll find other awesome tutorials by favorites such as Keirsten Giles and Cassie Donlen, to name just a few. Techniques include working with flame, texturing, forming, cold connections, patina and color, and finishing processes. If you can't wait and have to buy it now, click here! Next up is for all you seed beaders and those who would like to learn this amazing art. "Mastering Herringbone Stitch -- The Complete Guide" by Melinda Barta covers 21 projects incorporating various applications of the herringbone stitch. There are 167 pages in this beautiful book. 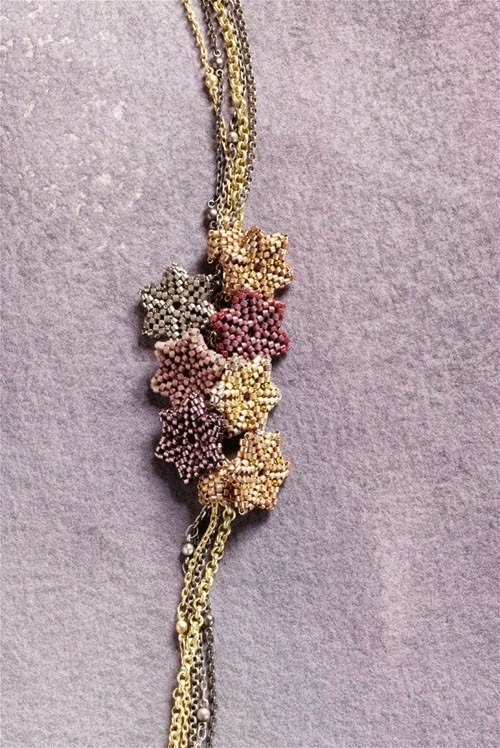 I know next to nothing about seed beading, although I did make a caterpillar bracelet once using square stitch. I learned very quickly to appreciate the thought and the process that goes into each little masterpiece. There are 22 pages of basics to get even a beginner started, including seed bead size charts and must-know terms. Melinda then goes on to cover creative tutorials in flat, circular, and tubular herringbone as well as my favorite, the twists and spirals. 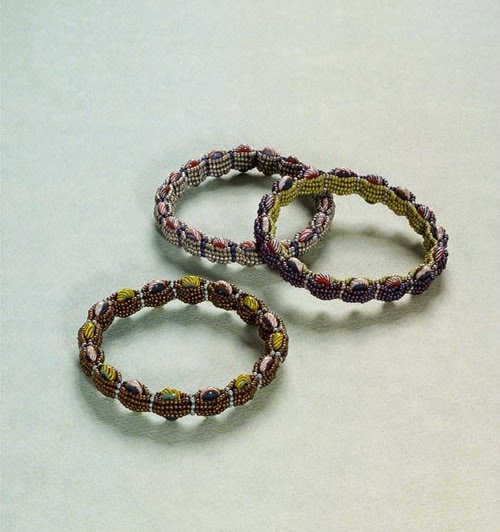 A selection of Melinda's "Tambourine Bangles"
Joining Melinda Barta are Jean Campbell, Kelly Wiese, Lisa Kan, and more! Don't be afraid if you're a beginner -- there are tons of diagrams showing you how to make the stitches. Want it now? Click here! Finally, a real treat -- a hardback book of 255 pages! 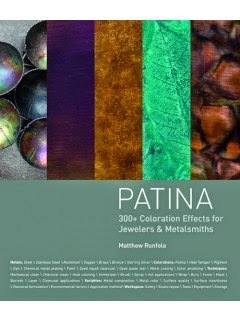 "Patina: 300+ Coloration Effects for Jewelers and Metalsmiths" by Matthew Runfola is absolute eye candy while being an encyclopedia of color. Where do I even begin? The plentiful chapters contain a coloration gallery, information about how to set up a safe workspace, aesthetic decisions, and color theory. He compares common metals and their patination processes and then digs into the really great stuff -- how to create all those amazing patterns and patinas properly. The remainder of the book shows examples of coloration examples using NINE different metals. If you thought you knew it all about patinating metal, you're bound to learn something new and exciting in this amazing book. And you won't be stuck wondering how he did it -- Matthew Runfola gives a comprehensive listing of colorant formulas, and throughout, beautiful gallery photos of finished jewelry by a wide range of jewelry artists. Want it in your hands now? Then click here! with the name (or names) of the book you would like. YOU MUST have a way for me to contact you. so hurry and put your name in! Thank you so much to the publisher for providing these books and being so patient with me as it took me quite a bit longer to get this on the blog than I'd planned. You guys rock! Legal stuff: I was not paid to write these reviews and the opinions stated are my own. Books were provided to me free of charge. I'd love the Herringbone Stitch book or Patinas. They all look like great books, but those... I could use!! I would love to win Mastering Herringbone! That's one of the few stitches I don't know. "Mastering Herringbone Stitch - The Complete Guide" - for some reason this stitch intimidates me, I really want to learn it! Anyone of them would work for me, thank you! Hello there. I know nothing of seed beading, but the Patina Book would be oh so wonderful as would the wire and metal book. Thanks so much for the opportunity to win a book. You can contact me by email at coffeefreek53@yahoo.com. Any of the three books would be wonderful and help me on my journey in each area. But I'm swooning over Wire + Metal the most. Thanks for the giveaway and reviews! I'd love to get my hands on either the patina or metal book. Pretty much all my metalsmithing has been self taught via experimentation, with the occasional you tube thrown in. Some proper instruction would certainly help refine my skills. I would love the book about patina. Thanks Interweave for making this giveaway possible. Heeringbone is one of my favorite stitches so a whole book devoted to it would be a joyful treat. I'd love Wire+Metal, or Patina. Both look amazing! I would any book would be appreciated very much thanks ! I would love the Patina Book , I own the one by Denise Peck and it is great!!!! I would like to win either the first one but LOVE to win the third one. Thanks for the chance! They all look fab! What a great giveaway! I would really love to have the Wire plus Metal book or the Patina book. It's wonderful that you are having this give-a-way---thank you so much! I would love the herringbone book. I've done a little bead weaving and want to learn more, please! I would love either "Patina: 300+ Coloration Effects for Jewelers and Metalsmiths" or "Wire + Metal - 30 Easy Metalsmithing Designs". They look like wonderful books! Hi Lori, Thanx for the chance to win these great books. 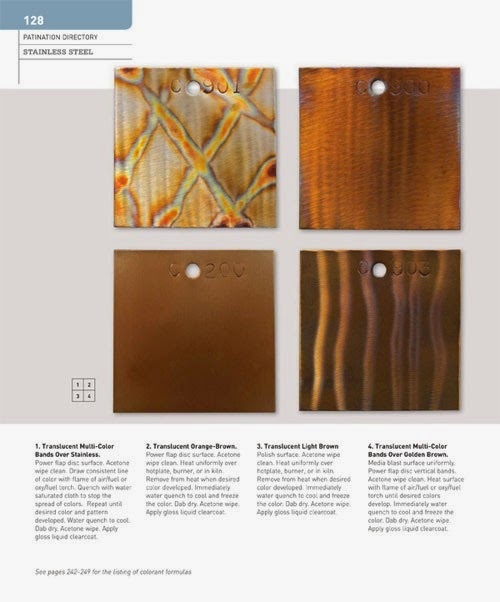 I would like either "Wire + Metal" or "Patina"
Would love the Herringbone one. One of those stitches I think I would love if I just understood it more! My fave is the metalsmithing one. Next fave is patinas. I'm afraid I don't do bead stitching. "Mastering Herringbone Stitch " I want to learn it! My picks are the Patina or the Wire+Metal. Thank you for your reviews Lori, and F+W for providing the giveaways! Please, add my name for the patina book? I love coloring metal and can always use new ideas. Ohhh what lovely books. 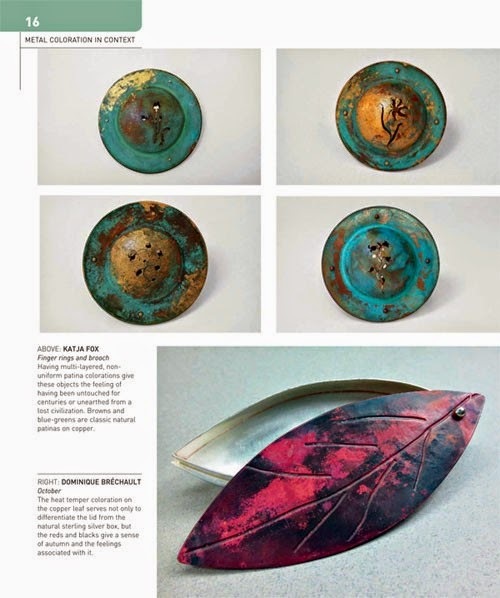 I have to say that I am very intrigued by the patina book since I just started my metal jewelry class 2 weeks ago and I would love to learn how to get beautiful color to the metal. I would love, love, love the Patina book or Wire and Metal. Thanks so much Lori! I'm glad you're feeling a little better. And thank you Interweave! Hi Lori, I am working on my first Herringbone bracelet now and would like that book to make other things. Its a really interesting stitch. Anyway, I already know that first book is terrific (own it), so I wouldn't mind learning more about Patinas. Patina! Thank you for the opportunity!!! psssst.....Zack.....over here...it's me, Lee, and I'd love to win that Camelot book or that Patina book. 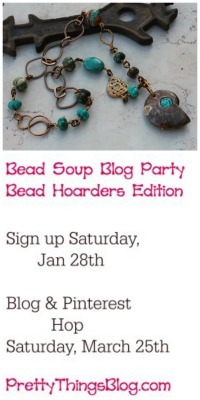 I can't seed bead and already have wire and metal. 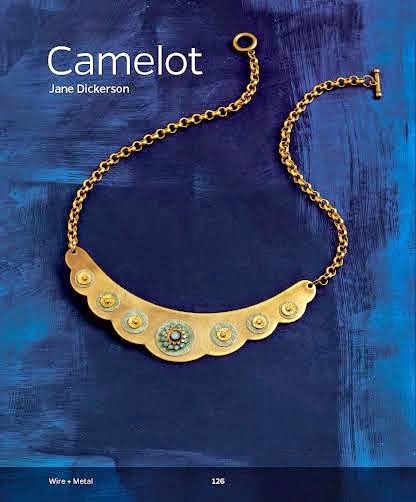 Everybody seems to want the patina book so while they are all looking at that one, put my name on the Camelot, LOL. Seriously Lori, another really nice giveaway. Hi Lori and Zack, I am really trying to get a foot hold in seed beading and would love the Herringbone Stitch book. Thanks Lori for a great giveaway! 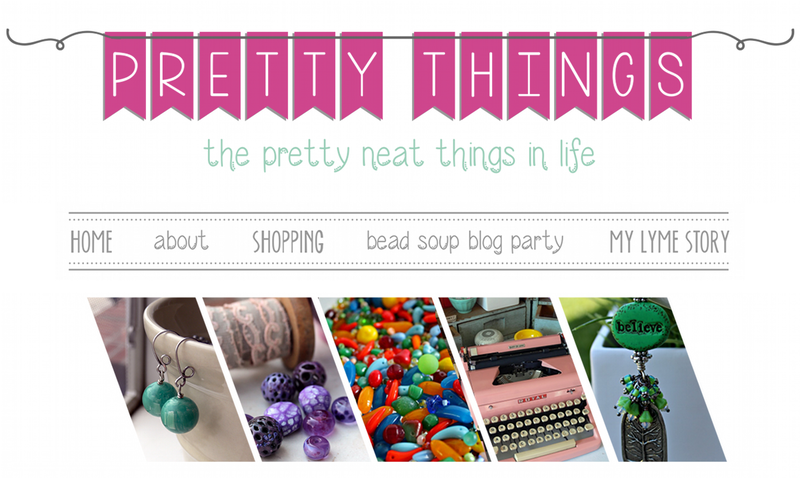 I'd love to win the Herringbone book! I have tried and tried and just can't seem to master that stitch! Books are wonderful sources of learning and growing...I would love to win a book...I always want to expand my knowledge and grow! Oh, Lori! How wonderful! I would love the wire and metal book, but the herringbone stitch book is a very close second! Thank you! I think the Patina book would be an awesome reference book to have. I can do everything on the cover of the wire and metal book but think it could very well serve as inspiration. I've been lusting after the patina book. So kind of you to do another giveaway . The metal -wire book works for me...a runner up would be the patina. Thanks for the chance! Hi Lori! just wanted to say you're awesome for doing another great giveaway so soon after the last one! I'd really like the Herringbone stitch book, because I'm just starting seed beading! :) You can reach me over at www.firandraintalk.wordpress.com . Thanks so much! All the books look great, but the Herringbone would be my first choice. Haven't mastered that one yet. Another awesome book giveaway! Thanks for the insight inyo each of them, they sound like wonderful books. I would love to win either the Wire+Metal or Patina. The Patina book has been on my wish list but ooh the Wire+Metal sure does sound great as well! Thanks for the giveaway! Mastering Herringbone has been on my wish list. Thanks for the opportunity! 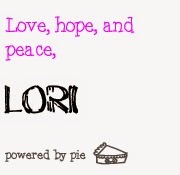 Hope you are doing well, Lori. I'm torn between the patina book and the herringbone book. I have read Melinda Barta's previous book, so I know she's awesome. The patina book looks great. I imagine I'd find plenty to learn in any of the books, they all look good. Best of luck to everyone! I would love, love love, totally love Wire + Metal or Patina. Thank you! Lots of great books. I would love to get the Patina book. Thanks for the chance to win. Any of them would be a great addition for my skills & learning books. I have less than 6 books in my beading collection. 99bobotw.kb@gmail.com. Live never seen any if these books & I happen to work at Michaels. 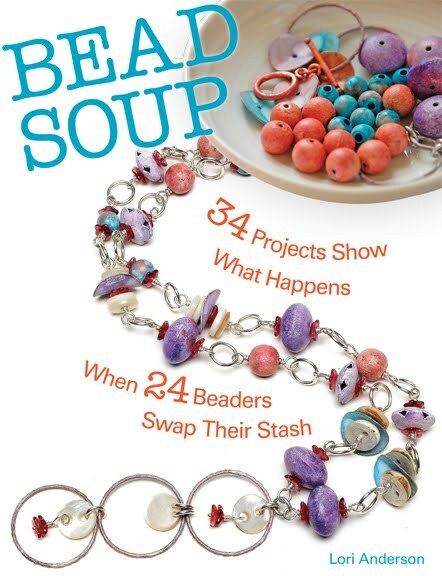 I do frequent my Bead Soup book often for inspiration & relaxation. These all look awesome!! I would really like Mastering Herringbone Stitch! Thanks for another awesome giveaway! Hi Lori, I can't tell you how much I appreciate an opportunity to win one of these outstanding books. I think the metalworking book would be my first choice, but I really really would be happy to get any one of these!! Thank you so much! I will PM you my phone number, but in the meantime, here's my email: zenithjade AT yahoo DOT com. Awesome giveaway Lori! I'd love a chance the patina book. It looks just scrumptious!!! Thanks for the opportunity. I hope you're well these days. Lori...I'm a seed beader for sure and I'd love the Herringbone Stitch book. Please through my name in the hat and thank you for the opportunity. I would love love LOVE to win either wire + metal or patina! They look amazing! Would love to check out the Wire+Metal book. Looks interesting. Ooh!! That Wire + Metal looks like it would give some great ideas!! 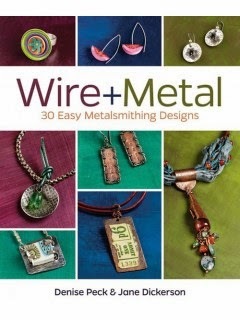 I would love to win the Wire + Metal - 30 Easy Metalsmithing Designs or the Paltina! Thank you for the giveaway! I'd love either the Patina or the Metalwork book. Winning would keep me from having to buy 2 books at once! The look like they both NEED to be in my library! Thanks Lori. 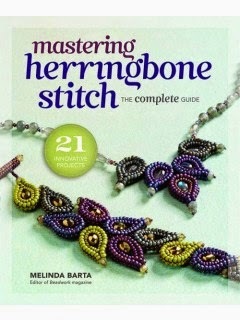 Oh, Lori--I'd LOVE Melinda Barta's book, Mastering Herringbone Stitch. I've started with flat herringbone, but tubular herringbone confuses me! Herringbone Stitch! I haven't gotten comfortable with it yet. Not certain why. Thanks for the chance! Winning wire & metal would make me clap / cuz I'd learn to texture, twist, and wrap! Thanks for another nice give away. Your generosity always amazes me. Melinda Barta's Mastering Herringbone Stitch: The Complete Guide has been on my list of coveted books for a little while. That or the Patina book would be lovely as a new adventure in jewelry design. 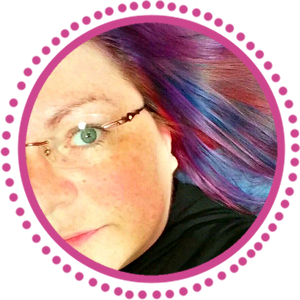 Thank-you for hosting this contest, Lori! Any of those books would be wonderful! Thanks for having a giveaway!